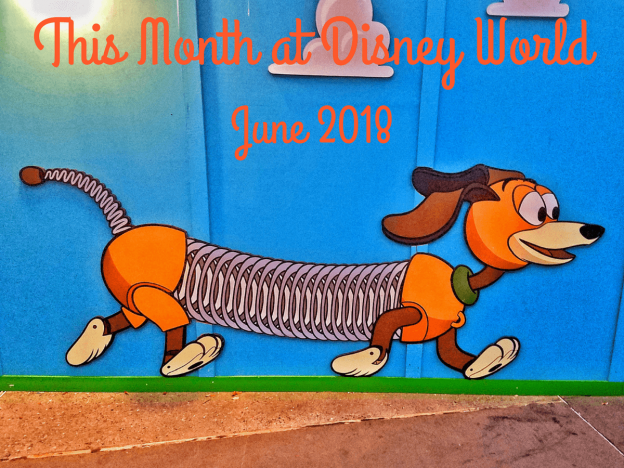 Slinky Dog Dash Roller Coaster is a family coaster, a la Seven Dwarfs Mine Train in the Magic Kingdom, designed to look like Andy built it in his backyard. If you are wondering what will attraction will have the longest lines at Disney for a while, this is it. 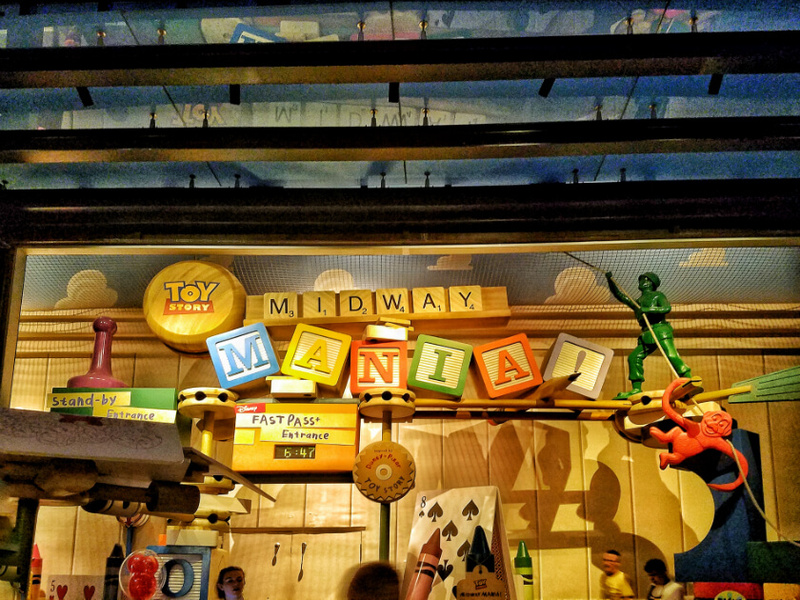 Toy Story Midway Mania is staying where it is, but will have a new entrance to incorporate it into Toy Story Land. This year they added a new track, so more people can get in on the fun. FastPasses will be available for all 3 rides. Just like the Pandora rides in Animal Kingdom, they will be on their own tier. What this means is that you will get to pick 1 of the 3 Toy Story rides, and then any 2 other Hollywood Studios rides, for your 3 FastPasses a day. So, you can now get FastPasses for both Tower of Terror and Rock N Roller Coaster, rather than having to choose one or the other, but you can’t get FastPasses for both Slink Dog Dash and Alien Swirling Saucers until you’ve used all 3 of your passes. As with Pandora, Fastpasses for Toy Story Land (especially the new rides) will go fast. But check periodically during the day on the My Disney Experience app. Day of FastPasses while rare, are possible. More questions about FastPass+, leave a comment below or email me. 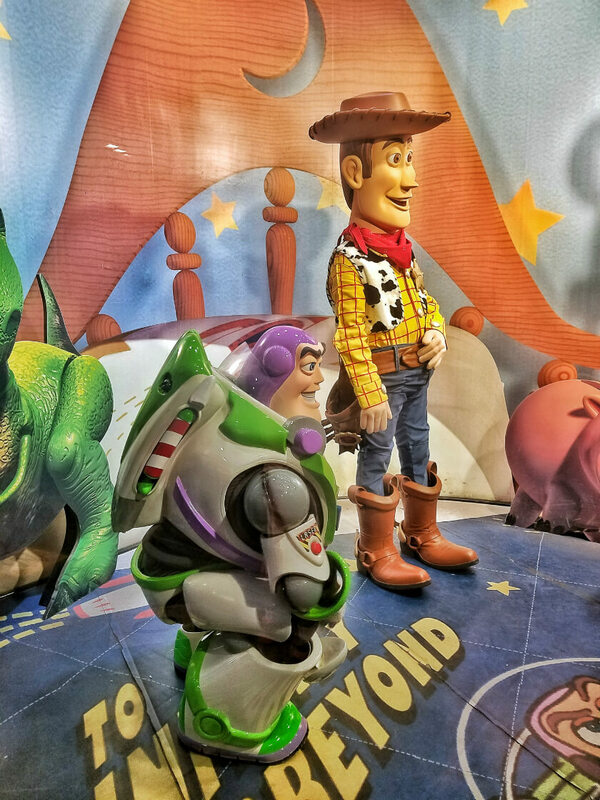 Jessie will join Woody and Buzz for character meet and greets. 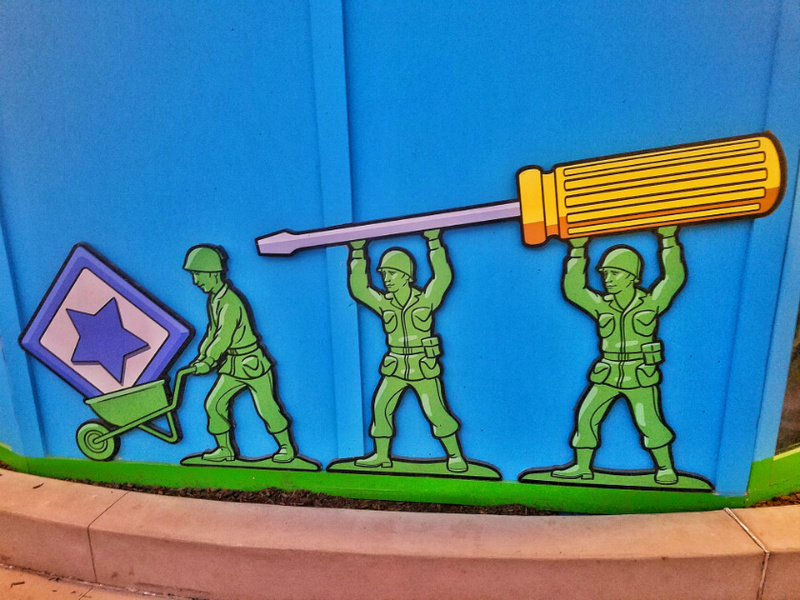 And, if you love the Green Army Men, they’ll march through several times a day. Woody’s Lunch Box will be Toy Story Land’s food option. It will be a quick-service location and, based on the what we’ve seen, the seating will be outdoors. Woody’s will serve breakfast and the s’mores French toast sandwich looks delicious. Options for the rest of the day include BBQ brisket melt, grilled cheese and tomato soup, totchos, soda floats, pop tarts, and cocktails. You may even be able to get a souvenir glass. Cautionary note – while Disney has announced these offerings they are of course subject to change at any time, so be sure to check the menu before having your heart set on something. Speaking of checking the menu, it looks like mobile ordering will be available through the My Disney Experience app. And of course, it wouldn’t be Disney without lots and lots of merchandise options. We’ve already seen slinky dog and alien headbands. And there are sure to be opening day “I played there” commemorative shirts. Before the Guardians get their own ride at Epcot, they’ll be performing 5 times a day in the America Gardens Theatre at Epcot. This live musical act will feature songs from the movies. And they’ll be performing all summer. Typhoon Lagoon is getting in on the Pixar fun this summer with a special hard ticket party Thursday-Saturday nights this summer. The parties begin June 21st and will run from 8-11 p.m., with early admission starting at 7 p.m. As with all hard ticket parties, you’ll have to have a separate day-specific ticket to attend. 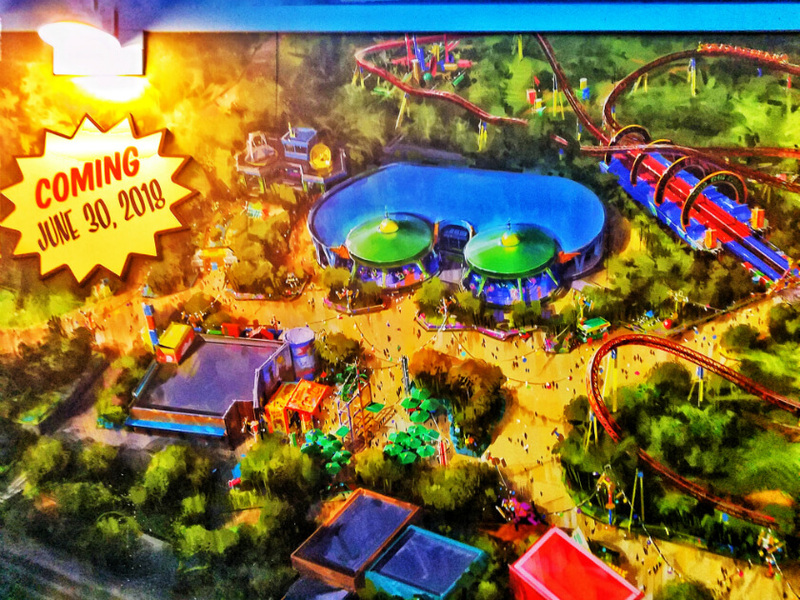 But you can expect shorter wait times, a dance party, Toy Story character meet and greets, specialty food and beverages, and an adult only area with entertainment and a bar. Tickets are $55 for adults and $50 for kids 3-9. Tickets are available here. Another hard ticket party is coming to the Magic Kingdom this summer – Disney After Hours. While this party doesn’t have a theme (unlike the Halloween and Christmas parties), it does have limited guests = shorter wait times for the most popular attractions. There will also be snacks and beverages included. Party nights in June are Thursday June 28th and Saturday June 30th. Official hours are 10 p.m. – 1 a.m. (for all you night owls), but you can get into the Magic Kingdom starting at 7 p.m., so you get 6 hours if you don’t otherwise have an admission ticket. As with all hard ticket parties, separate tickets are required. Tickets are $119 in advance and $124 day of (plus tax). Disney Vacation Club members and Annual Passholders can get tickets for $89. Tickets are available here. The beginning of the summer in Florida also brings the beginning of the rainy season. Good news is that hurricane season is still a ways away, but if you are coming to Disney World in June, there is a good chance it will rain at some point during your trip. Forewarned is as always forearmed. Among other preparations, we highly recommend bringing your own ponchos. You can order disposable ones from Amazon, but those tear very easily. We have had more luck with reusable ones. Target has some ones that pack down small. (Or at least they did last year in store). But we love these Mickey and Minnie ones. They fit beautifully in a quart-size ziplock bag. Yes, even the adult ones. If you or your kids hate being wet, a change of clothes is always a good option. Certainly fresh socks! We use the Weather Channel app to watch for rain. It has a great radar map that includes future predictions for the next few hours. This is great for seeing whether you can just duck inside for a few minutes to wait it out, or the storm will last for longer. Note that some outdoor attractions close in rain, and even more close when there is lightning in the vicinity. This makes the lines for indoor attractions even longer, especially those that queue entirely inside. 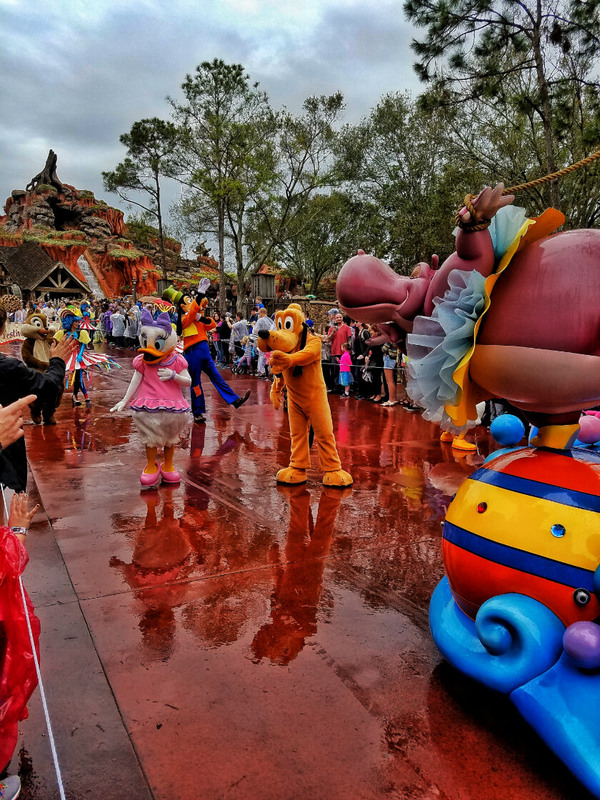 If it is really raining hard in the afternoon, the Magic Kingdom Festival of Fantasy parade can be affected. We’ve actually seen the rainy day version more than the regular version, and we don’t feel put out by it at all. While there is less dancing and some of the more elaborate floats are swapped out, it makes for a more intimate parade with characters interacting with guests up and down the parade route significantly more than during the regular parade. 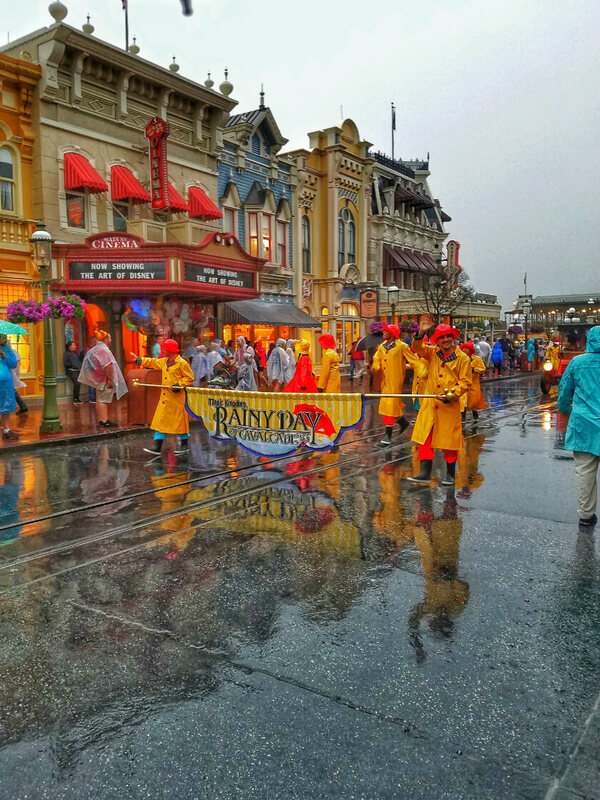 And if it is a really rainy day, you’ll even get to see the Rainy Day Cavalcade down Main Street. Personally I love the bright colors and the way Disney puts a happy spin even on a dreary day. Over in the Magic Kingdom, the Incredibles take over Tomorrowland this summer. In addition to a dance party from 2-7 p.m., there are character meet and greets, photo op backdrops, merchandise, and a baby race called Diaper Dash. Edna Mode is even making her debut. A takeover wouldn’t be complete without specialty food items. An Incredible burger, crepes, and a pretzel mask are available at different locations in Tomorrowland. DinoLand USA in the Animal Kingdom is now home to Donal’s Dino-Bash. This Bash features a nightly dance party, 8 new character meet and greets (don’t miss the new costumes), and even a soundtrack update. Not only can Disney photographers take great photos of your family, but some can also take Magic Shots adding a little something extra to the photos. This month some of the Magic Shots can be found at the Magic Kingdom in front of the Casting Agency door near Disney Clothiers Main Street, near the Dumbo ride, near the Mad Tea Party ride. In Epcot, there is a Magic Shot in the UK Pavillion. And you can find one at Disney’s Polynesian Village Resort. Animal Kingdom has a slew of magic shots near the Majarajah Jungle Trek, Rafiki’s Planet Watch, and Discovery Island. Magic Shots aren’t always available so be sure to check ask your photographer if they have any. 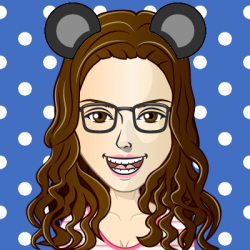 As with all things Disney, they can always change. Check out current Magic Shots available here. Disney has started a new procedure for finding lost items. Instead of simply telling a nearby cast member, there is now an online portal where you can report your lost item. It is run by a 3rd party that has experience with online tracking systems. I’m left to wonder if this will eliminate some of that extra magic that we’ve experienced when we have lost an item. When we lost a portable charger through absolutely no one’s fault but our own, and we couldn’t find it, a cast member gave us a voucher to buy another one at the gift shop. It was completely unnecessary; just a true example of the Disney magic. We’ve heard reports of good things with the new system in terms of finding an item and sending it back at no cost, but have to wonder what happens if an item can’t be found. Disney has launched its own version of Uber/Lyft car service. Run through the Lyft app itself, all guests (even those not staying on property) can now get a ride from a Disney cast member in Disney owned Minnie Vans to and from anywhere on property. While this used to be a perk only open to those staying at select resorts on property, it has been opened up for all. Minnie Vans are much more expensive than a standard Uber or Lyft, unless you are going from one end of the property to another during surge pricing in rush hour traffic. 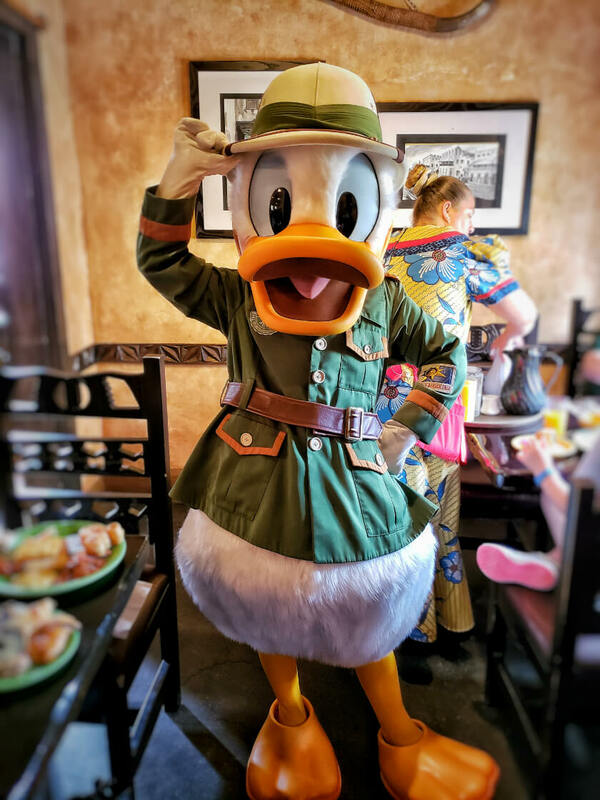 But you get the benefit of the service of a veteran Disney cast member who will gladly share lots of tips and stories with you. We really enjoyed our Minnie Van trip between resorts for dinner, but used uber to get home because for just 2 of us for dinner, we couldn’t justify the expense. For those who aren’t comfortable with regular Uber or Lyft (that is being driven around by an unvetted stranger), this is a great alternative. In what seems like the never-ending introduction of add ons, Disney has introduced the After-Fireworks Dessert Party to the Magic Kingdom. 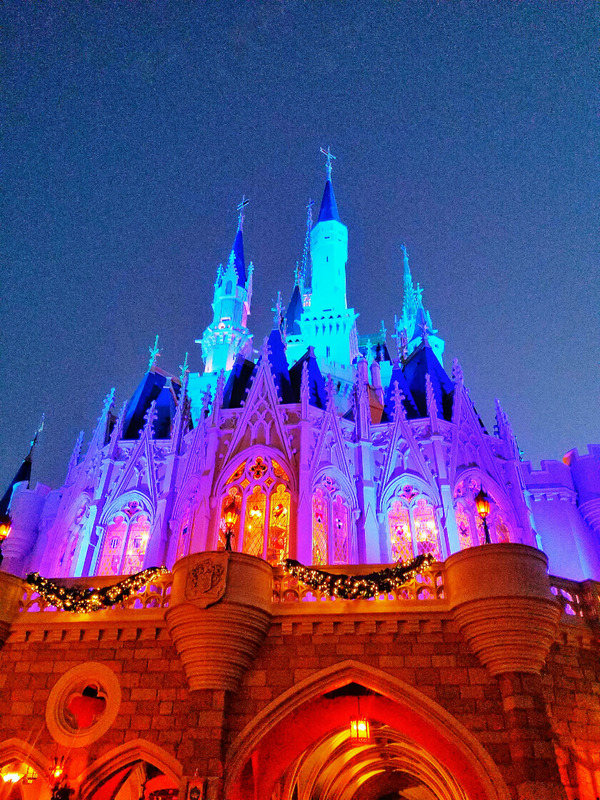 Similar to the regular Fireworks Dessert Party, you’ll get a reserved area from which to view the Happily Ever After Fireworks and an hour at a dessert buffet. The biggest difference is that with this new party, rather than eating before then watching the fireworks, you’ll now watch the fireworks then eat after. You’ll be in the same viewing area as those eating before, so the area may fill up faster. And you’ll also miss the low wait times that happen right after the fireworks (when the park stays open later). It costs $69 for adults and $41 for children, in addition to park admission. Tickets available here. Epcot’s International Festival of the Holidays will be happening again this year from November 18th – December 30th. As it was last year, the Candlelight Processional won’t start until November 22nd and then will continue through the end of the festival. If you are hoping to travel to Disney World in 2019 (cough Star Wars: Galaxy’s Edge), vacation packages will be available starting June 19th. In celebrating of Pride month, Disney has released rainbow-inspired merchandise, such as ears and t-shirts. With Memorial Day behind us and Fourth of July coming up, Americana merchandise is all over the parks. The Americana spirit jersey is the only one I’d even consider getting. But if you aren’t a fan, there are plenty of other items including shirts, hats and even Dooney and Burke purses and wallets. Solo: A Star Wars Story is still riding high at Disney World, with plenty of merch; much of it featuring our favorite co-pilot Chewie. In news that is very exciting to us Disney Nerds (to the surprise of no one) Wine Bar George in Disney Springs is now open to rave reviews. In addition to numerous wines (it is a wine bar after all), we can’t wait to try the sangria and the American 75 cocktail. If you are like us and need snacks to soak up the libations, there are plenty to try. We are looking forward to crispy mac and cheese bites and the meatballs. Wine Bar George also has a quick service counter called the Basket selling, what can be described, as fancy picnic supplies and, of course, has its share of wine and beers for sale. 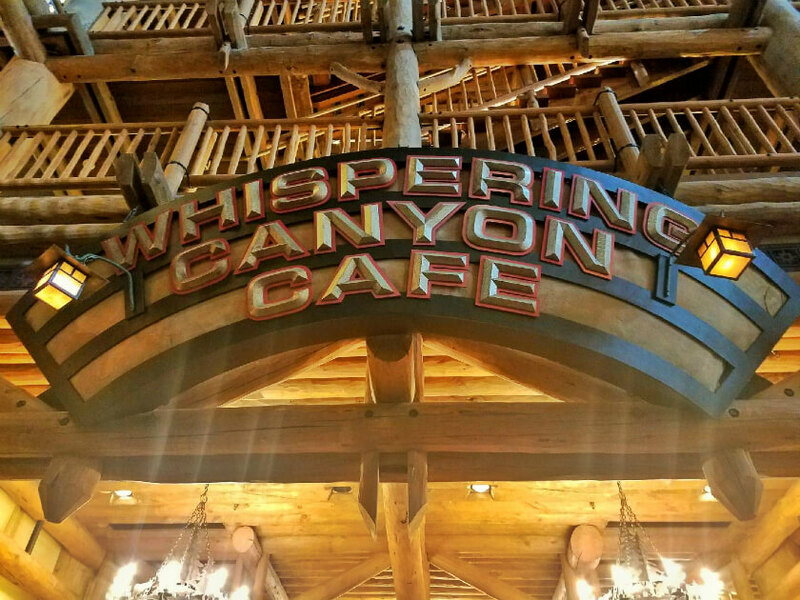 Whispering Canyon Café in Wilderness Lodge, long known for its antics and shenanigans, in addition to its food, no longer has any antics or interactivity. Per usual, Disney has not announced a reason for this, but rumor is it is based on guest complaints. Not those in the restaurant, but people staying at Wilderness Lodge (likely to do with the noise levels). Update (June 9, 2018): We’ve receive reports that the antics are back, just at a quieter level then before. It remains to be seen whether it will retain the same magic as before, now that they put the whisper back in Whispering Canyon. The news isn’t all glum from Wilderness Lodge fans. Roaring Fork, the quick service restaurant, now has Mickey waffles all day as part of their chicken and waffles. Tiramisu lovers rejoice! The Via Napoli Donkey Stand (the snack cart in the Italy Pavilion at Epcot) now features a Tiramisu Popsicle. Cannot wait to try it. Also at Epcot, Le Cellier Steakhouse in the Canada Pavilion now has a prix fix lunch. And it includes the world (showcase) famouse cheddar cheese soup. Sunshine Seasons in Epcot’s Land Pavilion has an ever-changing menu and wonderful seasonal cupcakes. Check to see if Belle’s dress cupcake is still available during your trip. Your Instagram will thank us. Alcohol offerings have expanded at the Magic Kingdom. Table service restaurants the Plaza, Crystal Palace, and Diamond Horseshoe now offer beer and wine. Speaking of the Diamond Horseshoe, it has a new lunch menu with sangria, beef brisket platter, and corn fritters, among other items. Also at the Magic Kingdom, the Tomorrowland Terrace has a Purple Wall Slushy. For those who aren’t familiar, the Purple Wall is a wall in Tomorrowland that people love taking pictures in front of. The slushy matches the wall and is a sort of Japanese milk tea (not grape like you’d think). Main Street Bakery in the Magic Kingdom has a new unicorn rainbow cupcake for Pride month and will have a mermaid cupcake starting June 5th. Further up Main Street, the ice cream of the month at the Plaza Ice Cream Parlor is rocky road and the milkshake of the month at the Plaza Restaurant is PB&J. The s’more is back at the Ganachery in Disney Springs. And in honor of pride month they also have rainbow inspired snacks. Art Smith’s Homecomin’ in Disney Springs will be starting a Sunday brunch from 10 a.m. – 2 p.m. beginning June 10th. Also on Sundays starting June 17th, Enzo’s Hideaway will be offering a Sunday Supper with a set menu. It will cost $45 for adults and $19 for those 9 and under. Note, this will be the only menu offered at the restaurant on Sunday nights. ESPN Club on the Boardwalk has new items, and we are looking forward to the s’more bread pudding (to no one’s suprise). Nearby, the Boardwalk Bakery has a new almond crossaint and cinnamon bun. For those at Hollywood Studios, Sci-Fi Dine-In Theater Restaurant has new items on its classic American menu. And next door, Baseline Tap House has a new exotic margarita on the menu. Star Wars fans can find themed cupcakes throughout Hollywood Studios – Solo cupcakes at Trolley Car Café, and Kylo Ren and BB-9E cupcakes at Backlot Express. In news that is very welcome by us Disney Nerds, Mama Melrose at Hollywood Studios has brought back the steak with four cheese macaroni. No one wants to get excited for something at Disney World or only to find it closed when you are there. 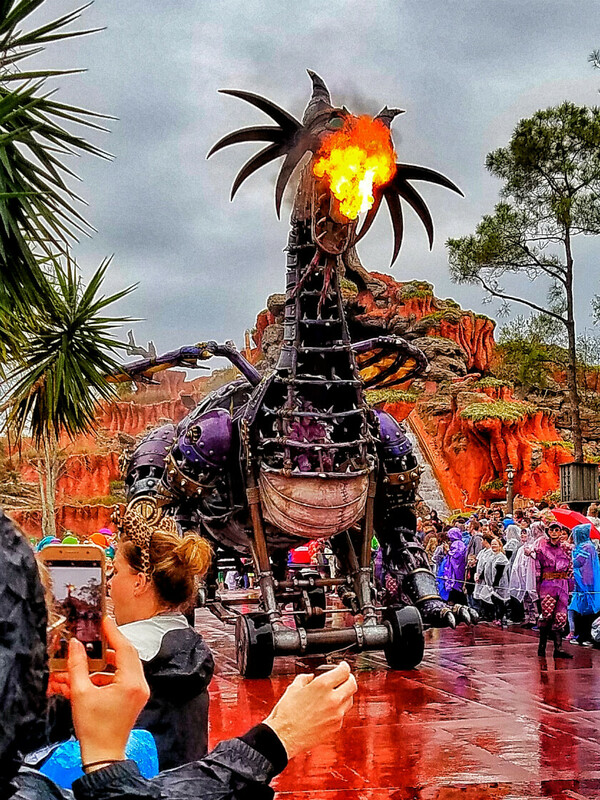 Maleficent, the fire-breathing dragon from the Festival of Fantasy Parade in the Magic Kingdom, met with a fiery end during a recent parade. No word yet on her return, but for now she has been replaced by a simple float featuring Aurora and Prince Philip from Sleeping Beauty. Talking Mickey on Main Street is no more. He’s still meeting guests, but he doesn’t talk anymore. There’s no boat service to Hollywood Studios from Epcot or the Epcot area resorts (Yacht and Beach Resorts, Boardwalk Inn, and Swan and Dolphin Resorts). Bus service is provided instead. It’s not clear yet whether you can still walk, but I wouldn’t count on it. The service will hopefully resume sometime in June. Disney likes to keep us on our toes and coming back, so don’t be surprised if there is more new things announced throughout the month. We will be keeping you updated on Twitter and Facebook.